Spain's Rafael Nadal celebrates winning the match against Australia's James Duckworth. 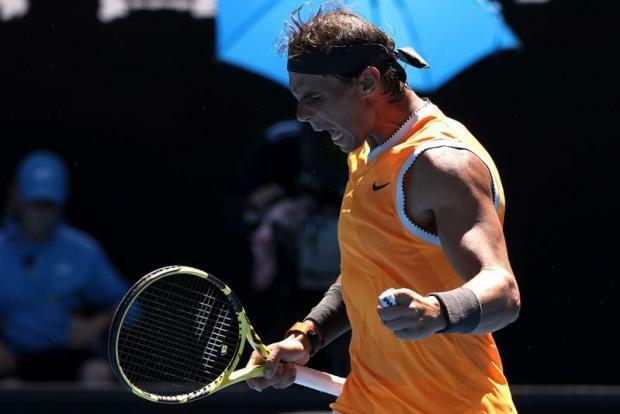 Rafael Nadal said Monday he was delighted with his remodelled serve and his fitness levels after blazing into the second round of the Australian Open. The Spanish world number two demolished fighting Australian wildcard James Duckworth 6-4, 6-3, 7-5. "So that's an important victory because it is the first victory since a while, and at the same time, because that gives me the chance to be on court again. And that's what I need today." "When I get broken was not because of the serve," said the second seed who dished up just a single double fault.